We were having roast chicken for dinner with friends one weekend. But when we served it up, we realized that gravy was missing! 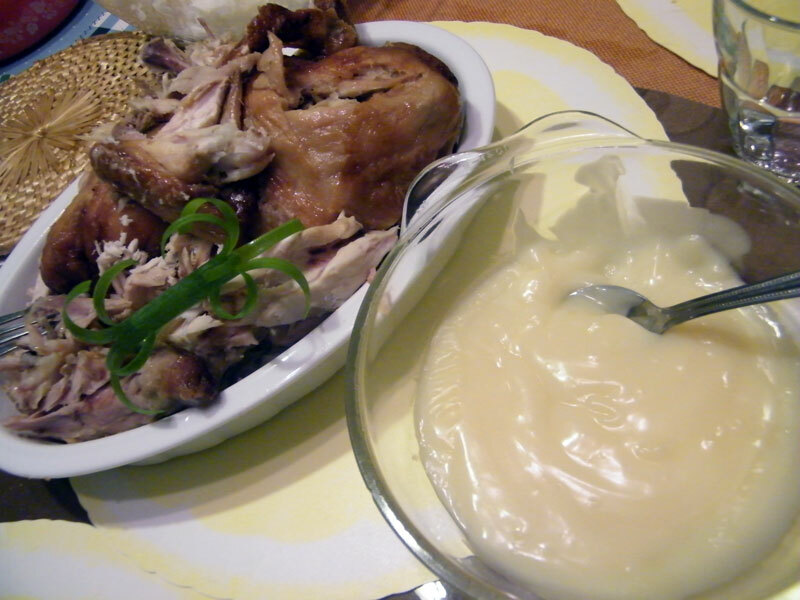 Not to worry, Pinkee rushed to the kitchen proceeded to cook up a sauce for the chicken, which I recognized to be a variation of white sauce. In this instance, the differentiating ingredient is the beef broth cube. 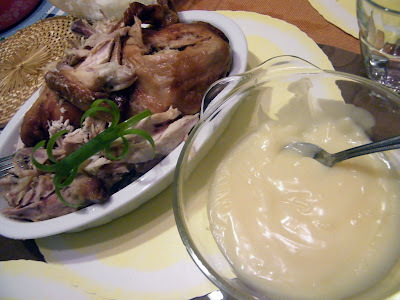 Omit that and follow the recipe as stated and you get the basic yet versatile white sauce. The broth cube gives it flavour that matches with the chicken. As you can imagine, the white sauce can also be adapted to a number of other dishes, such as pasta! Melt the butter over low heat in a saucepan. Then crush the beef cube and mix with the butter. Add the cornstarch and stir constantly until it thickens. Serve hot.